July marks a turning point in Australia’s pursuit of wind plant expansion. On the 11th, The Age reported that the Prime Minister ordered the Clean Energy Finance Corporation not to finance any new wind development. 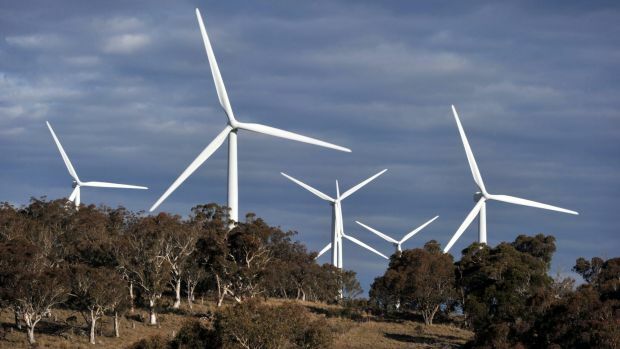 In his piece “Tony Abbott has escalated his war on wind power,” correspondent Adam Gartrell said the corporation has a $10 billion dollar budget and invests 21 per cent in wind. In my particular case, I was working on a very calm evening when wind turbines were operating but there was very little wind at ground level and you could not hear the turbines at all inside the house. I actually had to keep going outside to check that they were still running. After three hours in the house I began to feel ill and I found that I was lethargic and losing concentration, but it was not until sometime afterwards that I began to realise that it was the wind turbines that were likely to be responsible. The level of infrasound that I was measuring was a level that I considered to be very low and definitely not a problem. After five hours in the house I was only too glad to leave, and I thought, ‘At last I’m getting away from this,’ only to find that, when I started driving, my driving ability was completely compromised. The front of the car seemed to sway around as I consistently oversteered. I had lost coordination and I had difficulty judging speed and distance. When I arrived home, my wife observed immediately that I was ill; she could see that straight off. And it took me a further five hours to finally recover and for the effects to wear off. The important point about that incident was that I had considered that the conditions—a nice calm evening at ground level, but with the turbines still running—were extremely benign, and I had wondered whether I would even get any results. So I certainly was not anxious about infrasound. In his testimony Swinbanks makes the point that larger turbines and denser wind plants probably increase the distance required to attenuate noise. He also offers incisive comments about the major studies and some of the leading issues related to infrasound and low frequency noise.